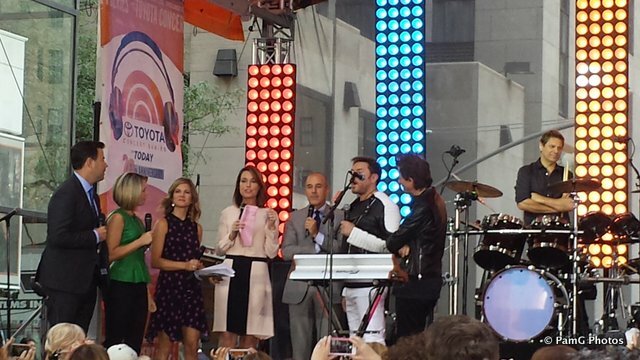 Duran Duran on Today Show! It is Thursday, and my friends…it has been quite a morning. 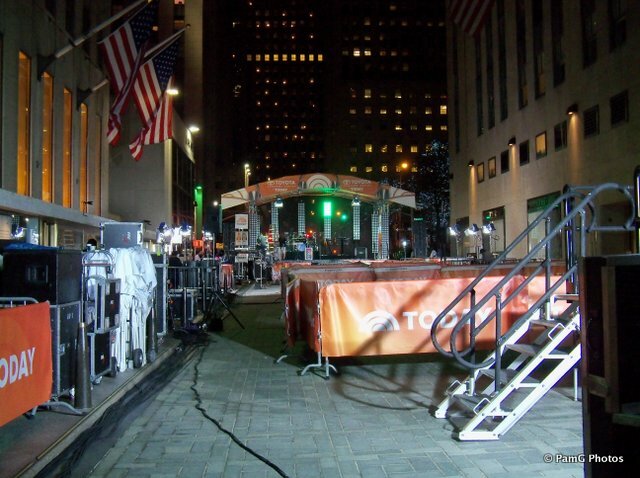 So, as I raced back home, there was one thought on my mind: watching the Today Show in PEACE! The good thing about the DVR is that I was able to speed through the sections of the show that were quite frankly, of zero interest, and get to the good stuff! 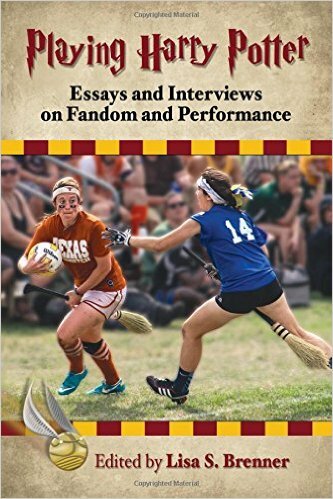 I stood in front of the television, remote in hand, as the camera would scan the crowd and marveled at how many familiar faces I saw in the audience. Man, do Duranies ever get around, I must say!! There were so many there, and I have to admit that I was almost more excited about seeing fellow fans than I was the band! Last Night in the City was about the only song that was shown completely intact – and with Kiesza sharing the stage with Simon, which was great! There was only one slightly off-moment during that song, and it was when Kiesza got down on her knees in front of Simon. I was happy to see Simon have the good sense to get on his knee as well, because otherwise, it would have just looked awkward. 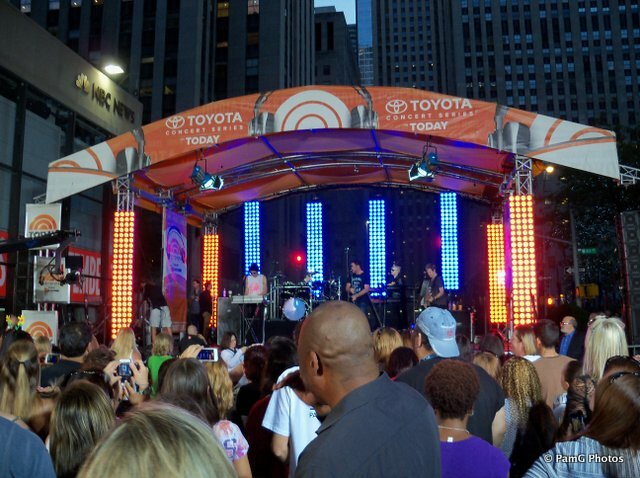 Lastly, I saw Ordinary World during the Hoda/Kathy Lee show, which also great, although Simon seemed to strain quite a bit during parts of the song – I’m giving him a free pass on that simply because it had to have been done pretty early in the morning. It looked and sounded like it was early, anyway. Thankfully, the powers that be allowed that song to go through to the end, and then Hoda and Kathy Lee mentioned that they enjoyed going back to the 80’s. Well, Hoda and Kathy Lee, that’s lovely, but that particular song was released on December 2, 1992… Fact-Checking: kind of important. The best part of my day? 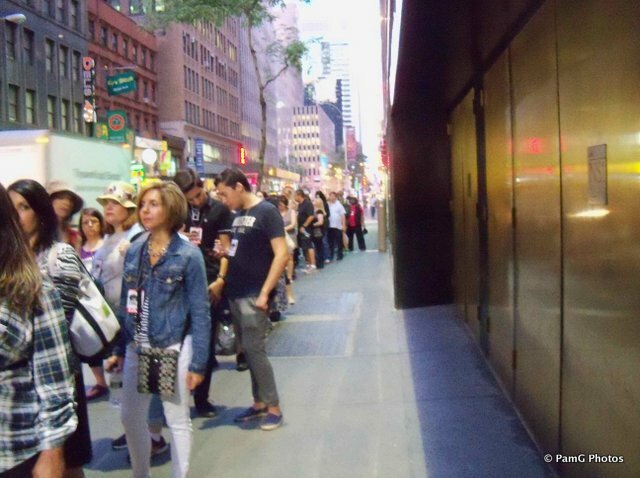 Social media has been completely taken over by photos of Duran Duran at the Today Show. I LOVE IT!! 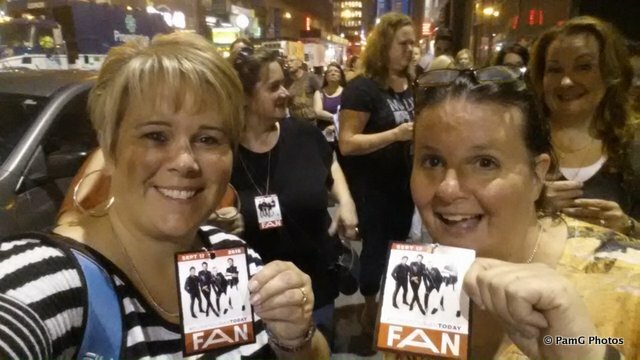 I love seeing all of the photos of my friends who were there…lo and behold, even Daily Duranie was represented! 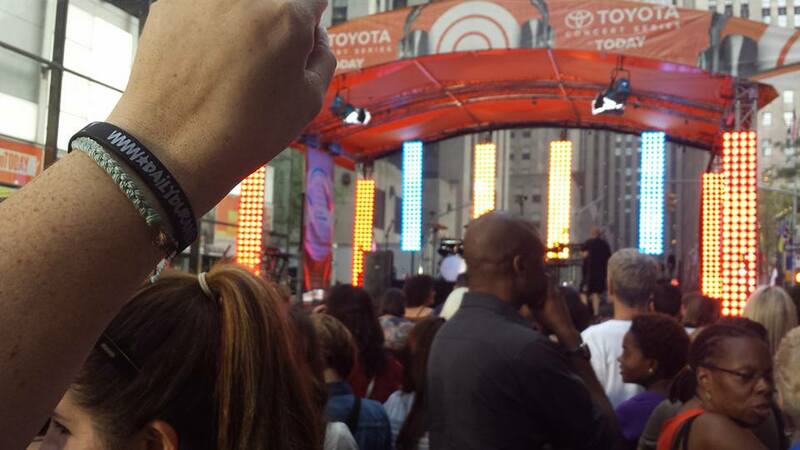 Even a little piece of Daily Duranie was in attendance at the Today Show. Photo courtesy of Pam Greenfield. I’m having so much fun seeing everyone with their photos and reading the experiences that everyone is having, this is really the best part of a new album being promoted…and we have much more to come! If you’re not already getting our blog by email, I encourage you to sign up, that way you’ll never miss a single post! Duran Duran history for today, December 29th comes to New York, when in 2010, Nick Rhodes and Simon LeBon appear on the Today Show. Hmmm….I wonder what album they were promoting??? Seems SO LONG AGO NOW I can’t even begin to remember…maybe watching it will refresh our memories. Happy last Monday of 2014, everyone! What happened last week in Duranland? It was quiet, right? I don’t think so! I know that I had a hard time keeping up with everything. Anyone else? If so, this is post is for you and for me! Despite all of our efforts, time has not stood still. This means that Wild Boys really did just turn 30! It is hard to believe that it is 3 decades old. Rhonda discussed all of this as well as the video posted of John Taylor talking about the song and video on dd.com on this blog post here. Obviously, there was a ton of activity regarding Duran Duran’s performances in Austin. First, they played at the Formula1 Fan Fest. Then, they played at Dell World. If you want to catch up on those performances, I recommend reading the following blog posts: I Wish I Was On That Plane and You’ll See I’m Right Some Other Time. The posts give links to reviews and a playlist of video clips, which is perfect for those of us dying for a show!!! If that wasn’t enough, DuranDuranMusic has exclusive photos for members. Duranduran.com has a new gallery! It is a collection of press clips. If you have some, you should definitely send them on to Duran Duran! Lori Majewski, author of Mad World, wrote a little article on Yahoo! Music News about Simon’s appearance on the upcoming Hunger Games soundtrack. If you didn’t check it out, do it here now! According to the post on Duran’s Facebook: Countdown’s 40th Anniversary special is airing next week in Australia. Duran Duran is featured on part 2, which will air on Sunday, November 23rd at 7:40. Hope someone will share with the rest of us! Speaking of Duran’s Facebook, more studio photos were posted. These were posted with the statement about how they were “finishing up DD14”! Let’s hope! I think we are all dying for it!!! Nick Rhodes was interviewed this week on the webiste, BlackBook, to discuss the book of photographs called Careless Memories, by Denis O’Regan. The Today Show discussed who should be the next artist to do a James Bond theme this week. This, of course, led to a Duran Duran reference along with a brief debate about who is the better band member: Simon or John! It is a fun watch! Does that name sound familiar to you? If not, let me catch you up. Gavin is Duran’s videographer! Thus, if there is a video put out by the band, it is usually done by Gavin! This week, he got a little recognition on the Between 10 and 5 website. Learn more about Gavin and his work here! It definitely wasn’t a quiet weekend in Duranland! It was so busy that I wouldn’t be surprised if I missed a thing or ten! If so, drop me a comment here!